By Andy Shartzer (Shizuoka-ken, 2014-16) for JQ magazine. Andy graduated from the University of Virginia with a degree in chemical engineering, and currently works for JETRO New York. He is also the Community Development Chair for JETAA New York. The best part about world travel is the chance to step outside of our comfort zones and sometimes monotonous day-to-day routines to gain new and different perspectives of the world. Oh, and eat lots of amazing food, right? Not just that? Okay. Sorry, that was my stomach talking there. In all seriousness, the chance to interact and learn from locals is an opportunity travelers should make the most of. But what if you haven’t brushed up on all the rules, customs, and etiquette of the country you’re visiting? And what if that country is Japan? And what if you’re boarding the plane now? Eesh. Well, instead of binging on reruns of Marvel movies, Amy Chavez has you covered with her new book, “Amy’s Guide to Best Behavior in Japan: Do It Right and Be Polite!” Chavez, a 25-year resident of Japan and tourist adviser who lives on Shiraishi Island (population: 600) in the Seto Inland Sea, provides a quick, easy-to-read overview of how to fully enjoy your experience in Japan and best incorporate the complexities of Japanese customs and etiquette into your homestay, study abroad, or quick jaunt to Japan. With some strong support from the educational “Amy Cat” (illustrated by Jun Hazuki), this 144-page book is the perfect reading material for your 15-hour flight. For JETs and others who have lived and worked in Japan, many of these rules and customs might seem very familiar to you and would only serve as a refresher. Yet Chavez does an excellent job of providing a clear summary of many aspects of Japanese culture — not easy to do in 144 pages. For example, this author never quite learned the proper protocol for praying at Buddhist temples and Shinto shrines, so the guidelines provided in this book (with pictures!) were very helpful. Even if you have spent a year or more as a resident in Japan, Chavez includes enough topics to ensure you learn a new thing or two — like a whole section on how to use Japanese squat toilets (Ooooh, you face the wall…who would’ve thought!). Though overall, this book is primarily geared towards first-time visitors to Japan. What I liked in particular was how Chavez defined the role of visitors to Japan: as guests. She then continues to provide just enough context and background on the “art of politeness” in Japan, where “politeness also mean efficiency.” She then challenges the reader to exceed the expectations of the Japanese, which adds more personality to a subject that can remain rather expository. Still even before getting to Chapter 1, Chavez presents two “Top 10” lists — great for those Buzzfeed, listicle readers out there. One always starts with the bad news first, and the first list is a “Top 10” of things you should never do in Japan followed by a “Top 10” of things you should always do in Japan. In a foreign culture where things might always be clear to an outsider, it’s a great move on Chavez’s part to lay out the boundaries of Japanese culture with clear examples. After the introduction, this book can be read either sequentially or piecemeal, only reading the parts that are pertinent to you or that you might have time for. Topics range from the survival basics (bowing, money, subways, trains, ryokan) to the practical (how to use Japanese-style squat toilets, dealing with tattoos in Japanese baths, drinking dos and don’ts, and even dating & romance). But through it all, Chavez maintains her voice as a veteran resident of Japan and provides clear direction all topics with the help of Hazuki’s Amy Cat illustrations. The book differentiates itself from other typical travel books with its chapters on interactions with Japanese people. Its chapter on language and conversation spends less time on having you memorize key phrases and more time on how to actually engage in conversation with Japanese people, including the art of saving face and the power of suggestion. Chavez’s last chapter provides a primer on business meetings in Japan, which is perfect for new expats or those on brief business to Japan. The section not to miss is the one explaining the rationale on why business cards are so important in Japan (even in the most casual situations!). Chavez wraps up her book nicely with a key message: bring your newly-learned good manners back home with you. Where some etiquette and manner guides can get a little dry, throughout this book you can always sense Chavez’s undercurrent of hope that readers will take these Japanese customs to heart and incorporate at least some of them in their own lives back home. While some readers might interpret Chavez’s insistence to retain some of these manners as overbearing, at the core is the lesson that she wants us all to learn from our time in Japan: “when being mindful of others, we learn not just mutual respect, but the power of making those around us happy.” And that sounds like a lesson worth keeping. 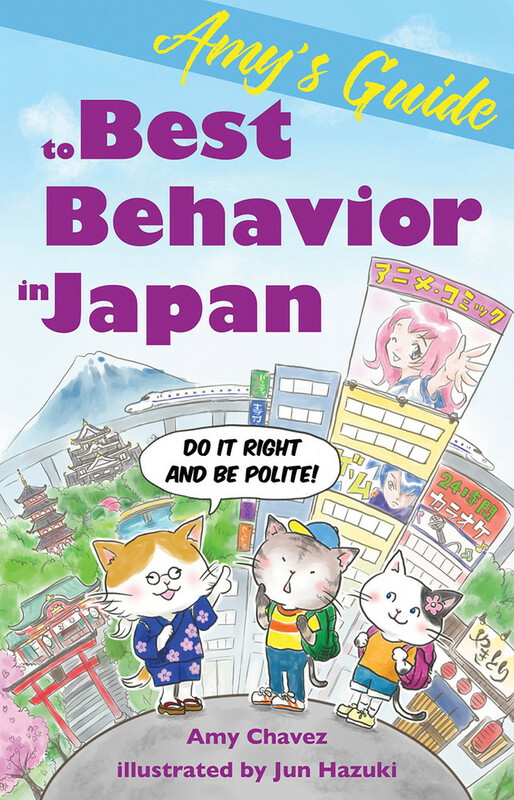 Amy’s Guide to Best Behavior in Japan was released on July 3, 2018 through Stone Bridge Press and is now available for purchase in North America. For more information, visit Stone Bridge Press and Amy’s website. 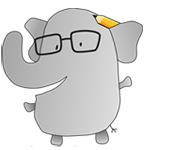 For more JQ book reviews, click here.